Singer Zayn Malik, who quit the globally popular boy band One Direction in March, announced Sunday that he is releasing his first official single as a solo act on Friday. 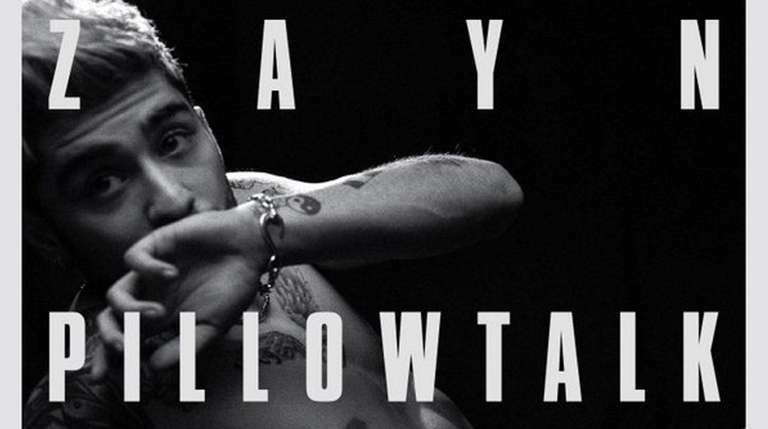 Malik, who turned 23 earlier this month, tweeted a black-and-white image of himself sitting shirtless, with three rows of superimposed text reading: “ZAYN / PILLOWTALK / 29.01.16.” The single “Pillowtalk” is expected to appear on the English singer’s upcoming solo-debut album, the title of which he has not released. On March 30, 2015, less than a week after the singer announced his split with One Direction, UK-based producer Naughty Boy posted a two-minute, fiftyone-second demo track by Malik, “I Won’t Mind,” on SoundCloud. It was taken off the Web within 12 hours. Malik also is scheduled to appear Friday on the popular British talk show “The Graham Norton Show,” along with the actors Toby Jones, Ryan Reynolds, Will Smith and Catherine Zeta-Jones, and the British singer Laura Mvula. Meanwhile, Malik’s former band-mate Louis Tomlinson announced over the weekend that his first child, a son, was born Friday. “He is healthy and pretty amazing :) I’m very happy! !” the 24-year-old singer tweeted. The UK newspaper The Telegraph said the mother was Tomlinson’s former partner, stylist Briana Jungwirth.